What we do speaks so loud, they can’t hear a word we say. Does your Christianity display the transforming work of an all-powerful God, or a plastic mask that you grab from the coat rack as you walk out the door? Behind closed doors, we take off our masks and let our guard down. Sometimes home is where we allow ourselves to become grouchy, snappy, unforgiving, easily irritated, demanding, selfish, and lazy. When at home, we have the opportunity to model a Spirit-filled marriage in the way we treat our spouse, or we can model a marriage characterized by fighting and nagging. We may model a good attitude about our job, or come home from work and complain about authority. We may treat our children like they are a blessing from God, or like they are a burden and an interruption to our day. In our attitude toward possessions, we can model being thankful and content with what we have, or we can express dissatisfaction and a culturally conditioned desire for “bigger, better, and more”. In the book of Matthew, in chapter 5, Jesus talks about not hiding our light, but letting our good deeds shine so that others may see them and praise our Father in heaven. We often think of this as a verse about evangelism, but what about our example to our children? As parents, we need to be first and foremost shining our light at home. If we want to be an example of true Christianity we have to be “all in.” Our children need to be our wake-up call that we can’t take a spiritual vacation whenever we are in the privacy of our home. 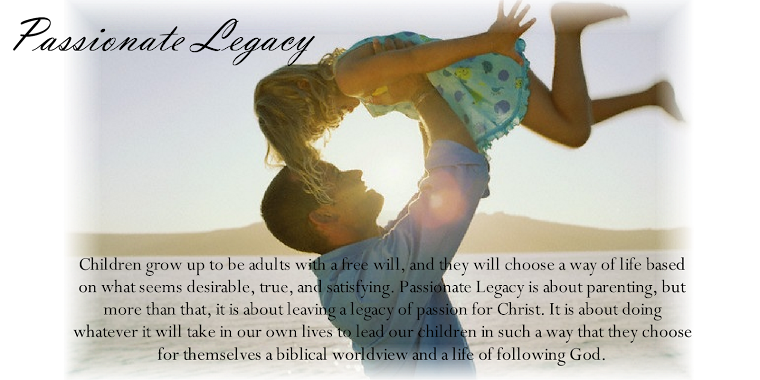 If we want our children to praise our Father in heaven, we will have to be living a life that reflects the character of Christ, even behind those closed doors. Children will not be attracted to “Sunday Christianity”, in fact, they will see right through it and have no desire to follow a set of beliefs that have such little impact on your real self. If our Christianity is really who we are, then there should be no mask to take off when we are at home. Our children are our ever-present audience who get to witness whether we really are who we act like when we are outside of our homes. What kind of Christianity do we have? What kind of Christianity do our children see? Is it a faith that they will want? Is it a way of life that displays the transforming effect of an all-powerful God or a plastic mask that we grab from the coat rack as we walk out the door?